Our goal as a breeding company is to help our clients succeed and maintain profitability; efficiency is the key to success. Our customers invest considerable time, care and effort and in trout to grow them to harvest size. That is why it’s important to begin with the best eggs possible and efficiently grow them to achieve the most return out of each animal at harvest. Flesh quality, external appearance and product uniformity all contribute to profitability at harvest. At Troutlodge, we are placing increased effort to improve harvest characteristics through genetic selections for improved yield. The primary edible portion of most fish is simply the fillet. Our breeding program incorporates selection for not only fish that produce high fillet yield, but also reduced visceral percentage. 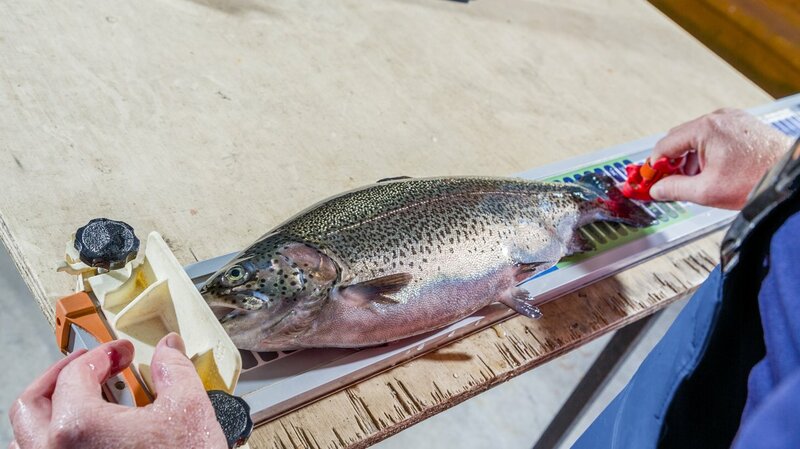 Troutlodge’s goal is to produce eggs that result in trout that are highly efficient in utilizing feed to produce quality fillets rather than viscera. In turn, this will make for a more efficient, productive and profitable operation.